Paul Kelly is the head of physiotherapy. Paul qualified as a chartered physiotherapist from Liverpool University in 1996. After spending two years in the NHS at Salford Royal hospital moved to become head physio at Blackpool FC. After three successful seasons with Blackpool, Paul then moved to become first team physiotherapist at both Blackburn Rovers FC for 11 years and then four years at Manchester City. 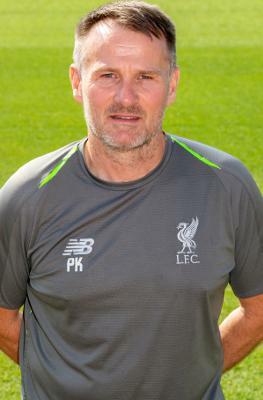 Paul then accepted the role of head of academy physiotherapy at LFC in September 2016. Paul is also the holder of a sport science degree and post graduate masters degree. Describing his role at LFC, Kelly said: “I am delighted to have the opportunity to work for such a massive club, and having gained extensive experience at first team/elite development level.